Hi all :) Today, we've reached the final serum recipe in our serum segment. We've gone through dry skin, anti aging, brightening, moisturizing and plumping, and a couple more. So today's serum is for oily, acne prone skin. When you have acne, you want to get to the root cause and eliminate bacteria as well as control oil production. 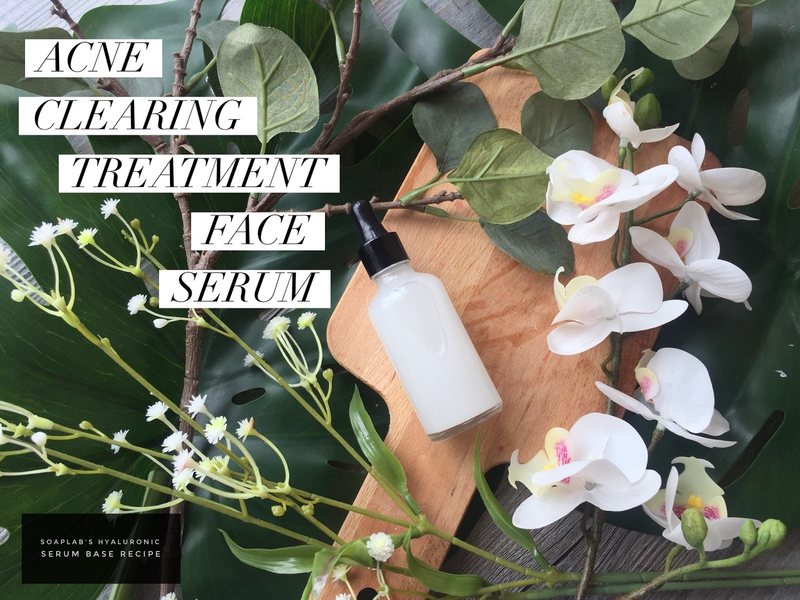 It is very important to not strip away natural moisture in your skin and that is why this serum is amazing for your skin. Our hyaluronic serum helps to maintain and increase moisture in skin without making it oily. Next we use witch hazel extract which contains tannins that help remove excess oil in skin. Finally, some Basil,Sage and Mint essential oil. This trio helps to stop acne causing bacteria spreading and leading to inflammed skin. They are anti inflammatory and antibacterial. Basil especially is used to treat acne and perk up dull skin tone. With this serum, trust us that your skin will feel and start looking better in no time.